The ancient centre of Sevilla, is the third largest old city in Europe and Sevilla itself has a population of approximately 700,000. The Guadalquivir River, with its 2.000 metre rowing course traverses the city. 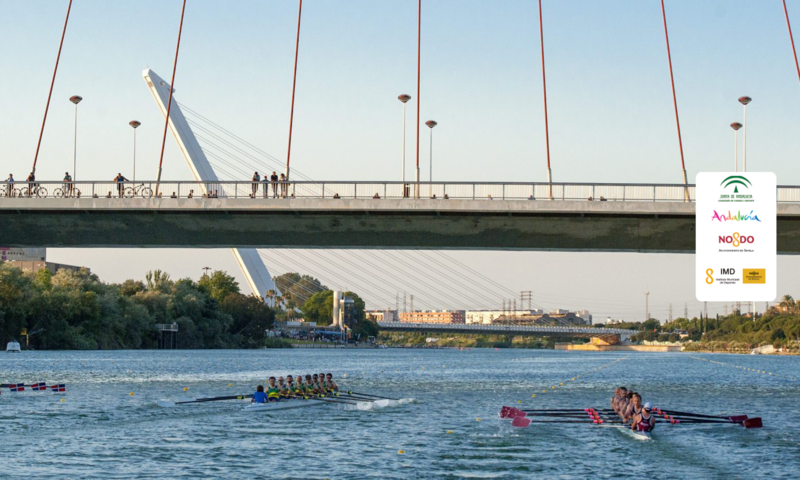 The Northern point of the Guadalquivir River has been channelled to eliminate tides and currents and offers a smooth training and racing space. Both riverbanks offer walking and biking trails which are easily accessible from all points of the city. The weather conditions are ideal, in October the average temperature is 20ºC (68ºF) and rainfall is minimal, 16 mm (0,63 inches).